For me, and perhaps many other people, the highlight of Sony’s press conference today was the PS Vita (the handheld formerly known as the NGP) and the games for it. 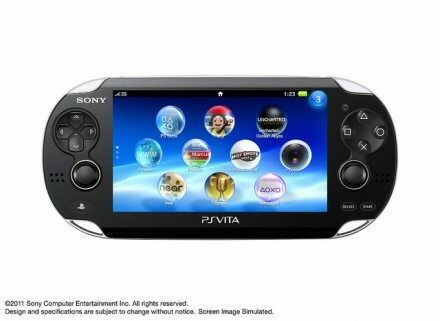 Sony announced that the WiFi version of the Vita would sell for US$250 and the 3G model would sell for US$299. New Zealand prices aren’t available yet, and expect them to be significantly higher if pricings for other hardware launches are anything to go by. However, if Sony has it priced right and it’s comparable to Nintendo’s 3DS then we could have a handheld console war on our hands! Sony’s Jack Tretton opened the conference talking about the recent PSN outage, apologising for the outage and saying it was a very humbling experience for the company. “We want to convince you why Playstation’s stronger than ever, but not just us telling you but you experiencing it yourself,” he said. A demo of Uncharted 3: Drake’s Deception started things, and it blew me away. Uncharted developer Naughty Dog says the game is raising the bar for PlayStation 3 games and it showed game hero Nathan Drake on what looks like a luxury liner as he makes his way to the bowels of the vessel. He takes two bad guys out from behind then punches out a patrolling guard. Drake moves deeper into the ship. Now he’s in a lower deck but gets ambushed by baddies: there’s a fire fight. An explosion. “I gotta get outta here,” says Drake, as he tries to escape the ship. The ship starts listing from side to side, and Drake gets trapped under a metal object under water. He frees himself and is now swimming underwater. He’s out, climbing through a hatch, and seems safe but suddenly a huge torrent of water appears from behind him. The demo ends. The game is due out in November. “Amazing guys. We’re going to sell a few copies of that bad boy,” says Tretton. Insomniac Games shows off Resistance 3 and Sony says PlayStation 2 games, Ico and Shadows of the Colossus, are being remastered in HD and coming out this year. So far, everything we know. Then Sony throws in something I didn’t know about: a new PS branded 24-inch 3D display that sends two images simultaneously to two pairs of 3D glasses: each person sees a full-screen view on the same monitor rather than a split screen. I think I’ve got that right. It’ll come with a pair of 3D glasses, HDMI cable and Resistance 3 thrown in. It’s going to retail for US$499. Other games announced include NBA2K12 for PlayStation Move, a new Sly Racoon game and Bioshock Infinite, which will have some form of PlayStation Move support. There will also be a Bioshock game appearing on the PS Vita. Now it’s time for information about the Vita. Sony’s Kaz Hirai says the PlayStation Portable was central to the evolution of the digital living room and Sony had high expectations for the PSP in the years to come but the PS Vita brought new ways to interact with “your world, your friends and your entertainment”. Hirai said Vita meant life and the front and rear cameras would provide Augmented Reality experiences and the Vita “blurs lines between entertainment and your real life”. Games for the Vita – 80 are in development – include the poster game, Uncharted: Golden Abyss, and it looks like an Uncharted game on PS3 has been shrunk down and stuck into the handheld. You’ll be able to use a conventional control method to manipulate Drake around the game world or the Vita’s 5-inch OLED touch screen or the rear touch-sensitive pad to make Drake jump to ledges or take out enemies. Or probably a combination of both. I wonder, though, how much using your fingers will obscure your view while playing. Other Vita games include Modnation Racers (where you’ll be able to rub the touch screens to build tracks or manipulate the environment), Wipeout 2048, Little Big Planet (you use the touch pads and tilt function) and Street Fighter vs Tekken, which features a playable Cole Mcgrath from Sucker Punch’s inFamous series. That’s day one of E3 done: tomorrow it’s Nintendo’s turn to wow the gaming world with the expected showing of Project Cafe. I see that the press conference is at 4am, New Zealand time. I don’t know whether my body can take another full-on work day with a start that early but we’ll. I’ll take the laptop and see if the wireless signal reaches my bed – then I can watch it under the comfort of my duvet. Totally looking forward to the Vita. Hurry up with the NZ price and release dates though Sony. Feel like the bottom of the world here in NZ. Hope we don’t get the sharp end of the stick in terms of price and release dates. Looking forward to LBP most of all, looks so rad. Dunno about you, but I’m not particularly sold on Uncharted yet personally.